with my recent lifestyle change, I've recently found myself eating two bananas a day coming from someone who NEVER ate fruit! I will admit im still rather fussy when it comes to food my love for bananas is because they are soo easy to eat! peal the skin that's it! if I want to eat an apple I need to decore it peal the skin and then slice it (EFFORT) same with melon which I love and im not really a fan of oranges although I LOVE fresh orange juice. 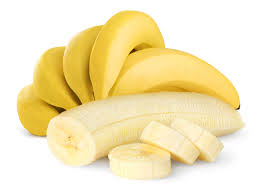 there's also a range of things you can do with bananas for instanced bananas bread, bananas pancakes, add them to a smoothie or protein shake, add them to cereal, the possibilities are endless!